The Raspberry Pi Foundation is a UK-based charity working to put the power of computing and digital making into the hands of people all over the world. Providing low-cost, high-performance computers that people use to learn, solve problems and have fun. 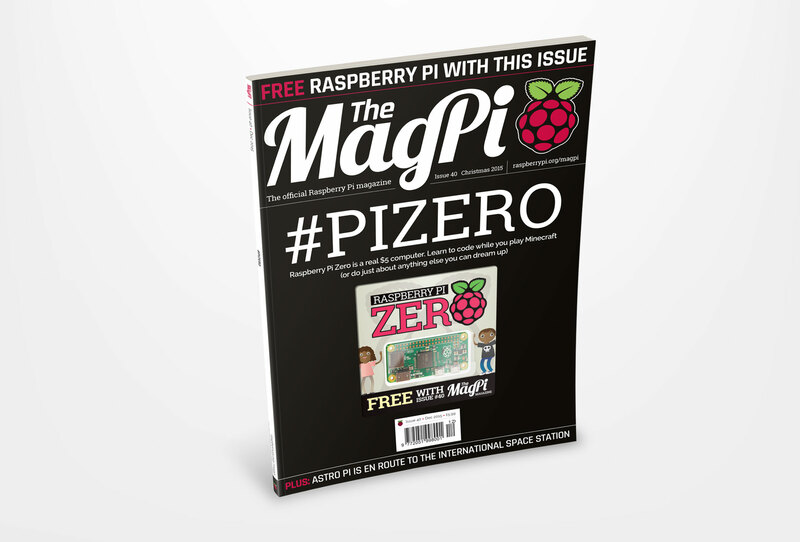 The MagPi Magazine is their official title and is designed to keep Raspberry Pi users up-to-date with all things Raspberry Pi whilst serving as a focal point for fans and users from all over the world who love the UK’s best selling computer. We were signed up in 2015 to re-design the magazine and to help re-launch the title into mainstream media via print as well as digital versions. From the logo to the page templates, we wanted to create a visual statement that was both sympathetic to Raspberry Pi’s brand guidelines but bespoke in look and feel, allowing the design of the magazine to find its own form within a new area for the Raspberry Pi Foundation. As a monthly title, we continue to manage all things design for the MagPi magazine as an ongoing project, taking care to ensure the magazine continues to offer its readers clear yet well designed pages appropriate to the subject and magazine style. Given our position as a full service design agency, we are able to easily manage all the design requirements a magazine needs including the design, print & digital production of: POS, advert design, design for marketing, digital promotions to the very exciting cover-mount challenges. One of our favourite production challenges was on issue #40 when Raspberry Pi gave-a-way a FREE computer to every reader, mounted on the front of ever magazine. For this particular challenge we opted for a bespoke blister pack, created around the Raspberry Pi and glued shut via a printed folding 600micron box board. This was then glued to the front of the magazine and the magazine was then bagged for safe keeping. This system allowed the FREE computer to be securely mounted whilst being easily seen in all outlets – so much so that the magazine sold out in less than 24 hours! We like to think it was our packaging but if we’re honest, it’s clearly the unbelievable generosity of the FREE gift from Raspberry Pi! We were thrilled to be part of this and watching as the story exploded across all media that day was awesome!